Dining out is a convenient option whenever we go out for grocery shopping. I feel lucky since my husband always has a keen interest in the same. Yeah!! some advantages of marrying a foodie. This guy can romance cuisines and menus. He takes annoyingly long to go over restaurant menus. I think he starts picturing the menu items before he orders them. With time I have taken this quality of his in my stride and very politely mention to the staff that he will take loooong, so bear with us for sometime. We will let you know when he has decided. This week we just wanted to grab some bread and oh-so-wonderful labneh and creamy coleslaw from Waitrose. You see we like to be sorted for our weekend breakfast next morning. Walking out, we were famished and tired and me especially in no mood to cook. 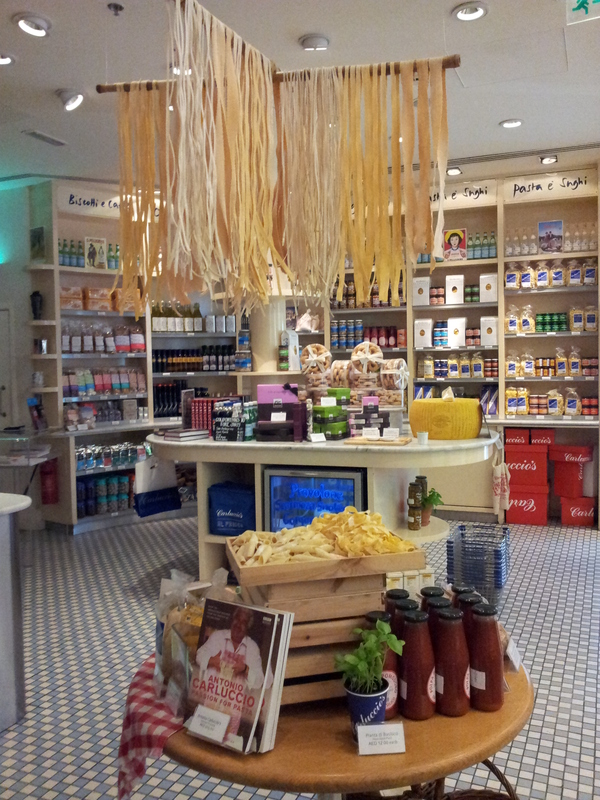 We were weighing our options between Zafran and Carluccio’s. 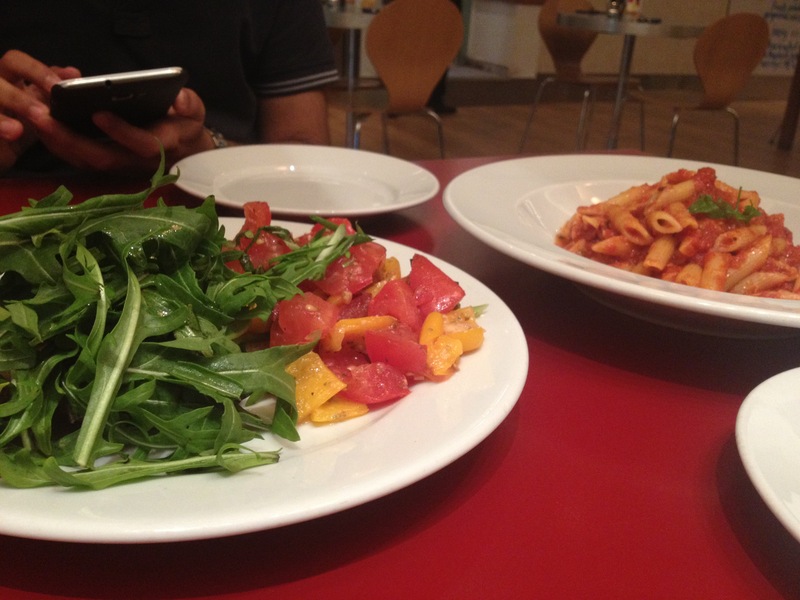 Having tried Zafran a couple of times before we went for Carluccio’s. The moment I walked in rather than making way to the quaint dining tables lined inside, I was drawn towards the open market concept they have. Everything I saw, I wanted in my pantry. Whole wheat pastas of different types and sauces to go along with them. There was Arabiatta, Pesto, Greek Pesto, Basic Tomato Sauces. Even olive oil, motor and pestle and cute kitchen aprons were on display. 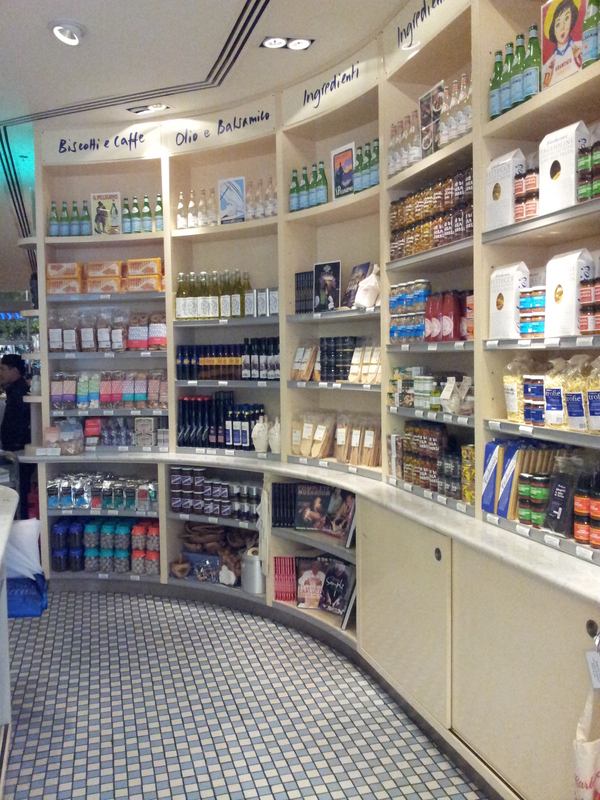 It was a foodie’s delight having so many items to choose from. We went our separate ways to see what we like, a glance across the room and we see polite and smiling restaurant staff coming towards us asking if they could be of some help. 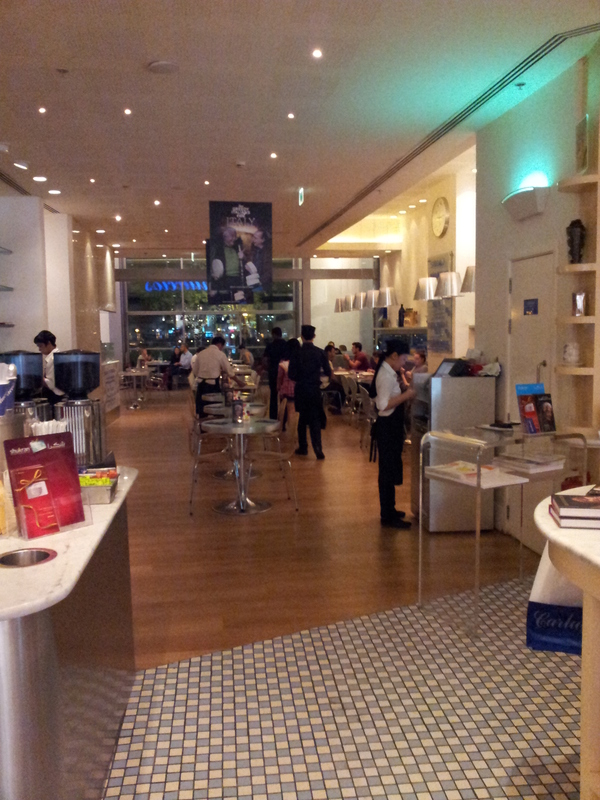 It’s so nice when you are put to ease the moment you walk in. They did not hound us with information or press us to make some purchases and let us whale away while we picked up the Tomato Sauce and basil pot for making a spaghetti meal. 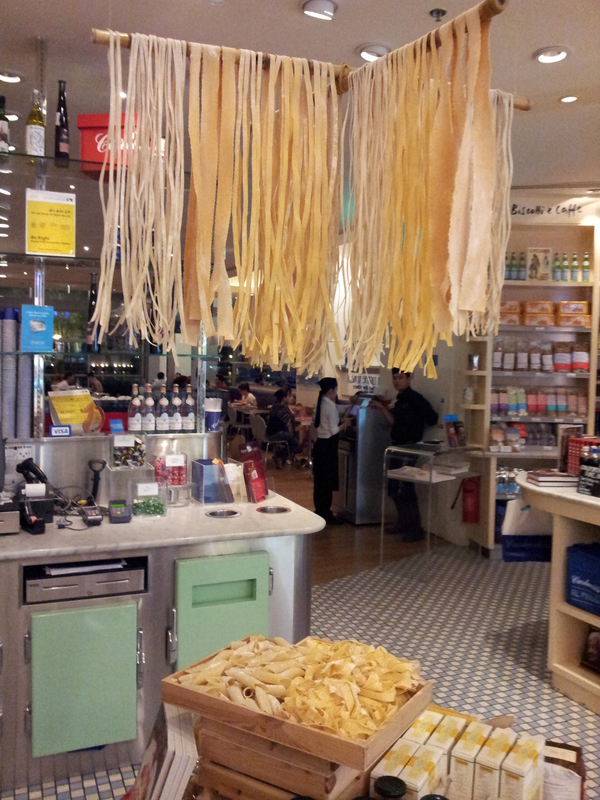 We sampled the Brushetta and Fusilli Arabiatta, safe options. The Brushetta bread was nice and crisp but wasn’t herbed. 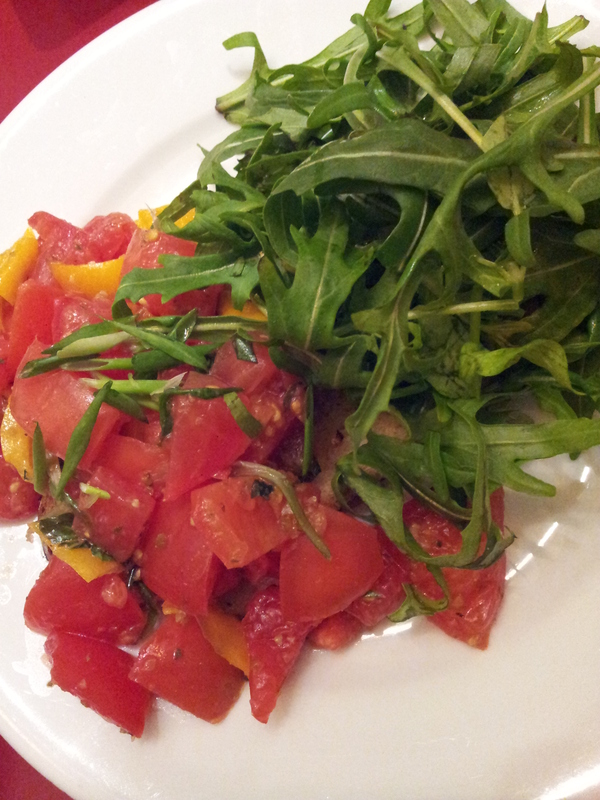 It was loaded with firm cut tomatoes, red and yellow peppers with a generous drizzle of olive oil. There was a side salad of rocket leaves as well. What was a let down was no dressing on the same. I asked for balsamic vinegar and sprinkled some rock salt on the table and it was a hit with my palette. 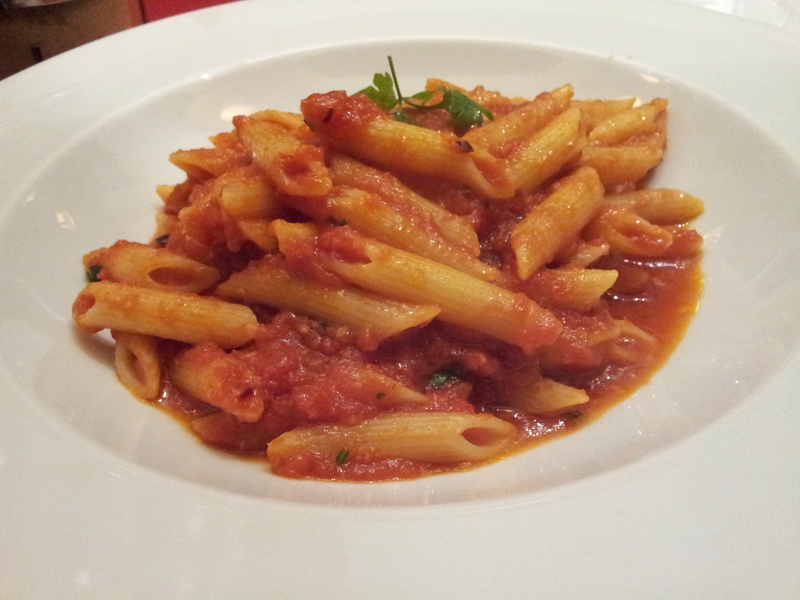 The pasta was al dente cooked to perfection and blended beautifully with the tomato sauce and chill flakes. A quick dash of grated parmesan and we were satiated and all smiles. 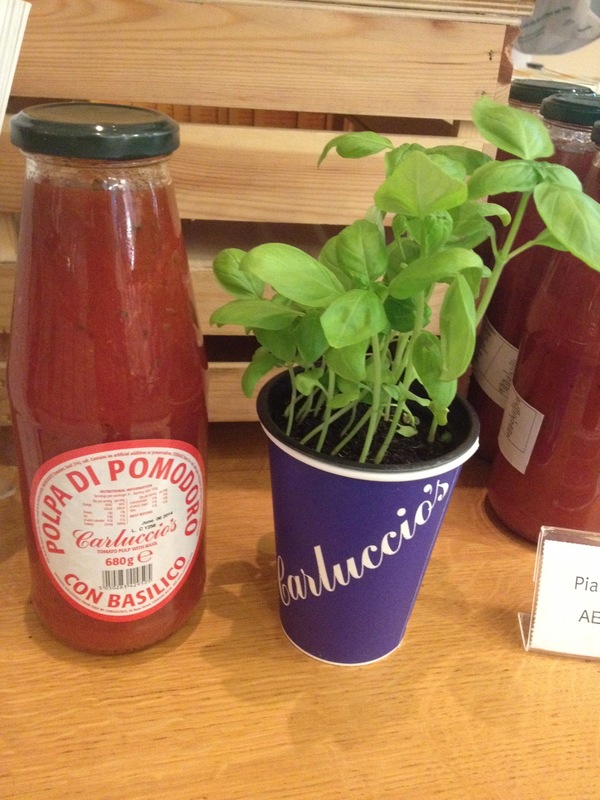 I will definitely visit Carluccio’s again for their pizza, I looked at some options and would like to sample them. 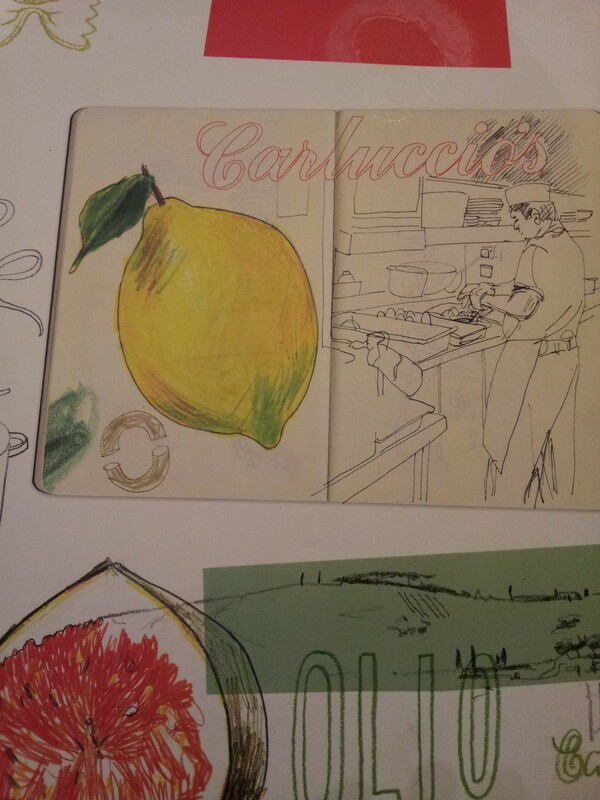 We came back from Carluccio’s all giddy with delight of a wonderful meal.